Sónia Vladimira Correia has a degree in Sociology from ISCTE-IUL. She holds a Ph.D. in Social Sciences and a Masters degree in Social Sciences, Networks, Public Action and Social Issues, both degrees awarded by the University of Lisbon (ICS-UL). Since 2000 she has worked as a researcher in several national and international projects in the areas of family sociology and gender, social policies and in Europe and education. She is a lecturer at Lusófona University. 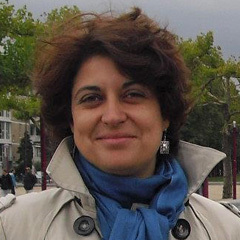 Her research interests are Social Policies in Portugal and Europe, Sociology of Family and Gender, Sociology of Education, Poverty, Inclusion and Social Exclusion.